At National Fatherhood Initiative (NFI), we emphasize the positive impact for children when they grow up in a home with their two married parents. Because a boatload of research shows that when children grow up in such a home they are more likely to reap a host of benefits compared to children who grow up in a home in which their parents divorced or were never married. I’m a child of divorce. My parents divorced when I was in high school. While I wasn’t sad to see my dad go—we had a very poor relationship—our family suffered in a number of ways, not the least of which was financially. The divorce put a huge financial and emotional strain on my mom. She had to take out a second mortgage on our home, and she never recovered. She eventually filed for bankruptcy. But the divorce certainly changed things for my mom. In addition to her continued role as our primary caregiver, she couldn’t rely any longer on my dad’s income. Any hope she still might have harbored that my dad would, one day, become a better parent died. She couldn’t rely on him as a co-parent in all the ways that good co-parents support each other for the sake of their children. When parents divorce, it’s vital that they commit to an amicable relationship for the sake of their children. This kind of relationship is, typically, even more important for the relationship between dad and his children. That’s because dad is, of course, the parent most likely to leave the home. Recent research by Child Trends supports the importance of an amicable co-parenting relationship to the involvement of dad in his children’s lives. When co-parents don't have such a relationship, dad is less likely to be involved and children are more likely to act out in a number of ways. Watch this video that summarizes the research, which includes what happens to dad’s involvement when new romantic partners enter the scene. The bottom line is when you serve dads in a co-parenting relationship—regardless of whether they became a co-parent as a result of divorce or having never been married or whether they have custody of their children or not—you have an obligation to help dads become good co-parents. You must help them by increasing the awareness, knowledge, and skills they need to be a good co-parent for the sake of their children. That’s why NFI’s fatherhood programs include sessions on co-parenting, and many of the other sessions help with co-parenting, too. The recently released third edition of our InsideOut Dad® program for incarcerated dads further emphasizes the importance of this relationship. It includes even more sessions on co-parenting. Our Understanding Dad™ program for moms is largely about helping moms to co-parent effectively. We also have a range of print materials that can help dads and moms become better co-parents. *My father and I eventually reconciled. It took many years to heal our relationship, and it was well worth it. He’s been a good grandfather to my children and father-in-law to my wife. 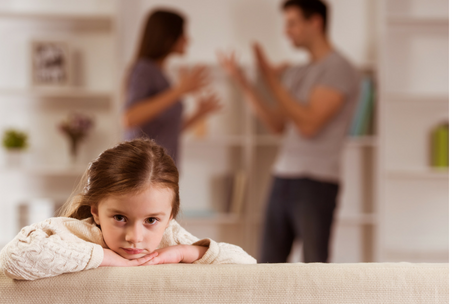 Are you aware of all the ways a poor co-parenting relationship can harm children? How much of an emphasis do you place on the co-parenting relationship?